Italian brand Gufram will present a collection of discotheque-inspired carpets and furniture during this year's Milan design week. Called Disco Gufram, the new collection features pieces by Italian studio Atelier Biagetti, Dutch designers Rotganzen, and Paris-based studio GGSV. The collection includes upholstered seating inspired by Gufram's upholstered "disco seats" from the 1970s, a series of carpets with patterns that draw upon the geometry of dance floors, and a series of coffee tables and cabinets that feature warped disco balls. 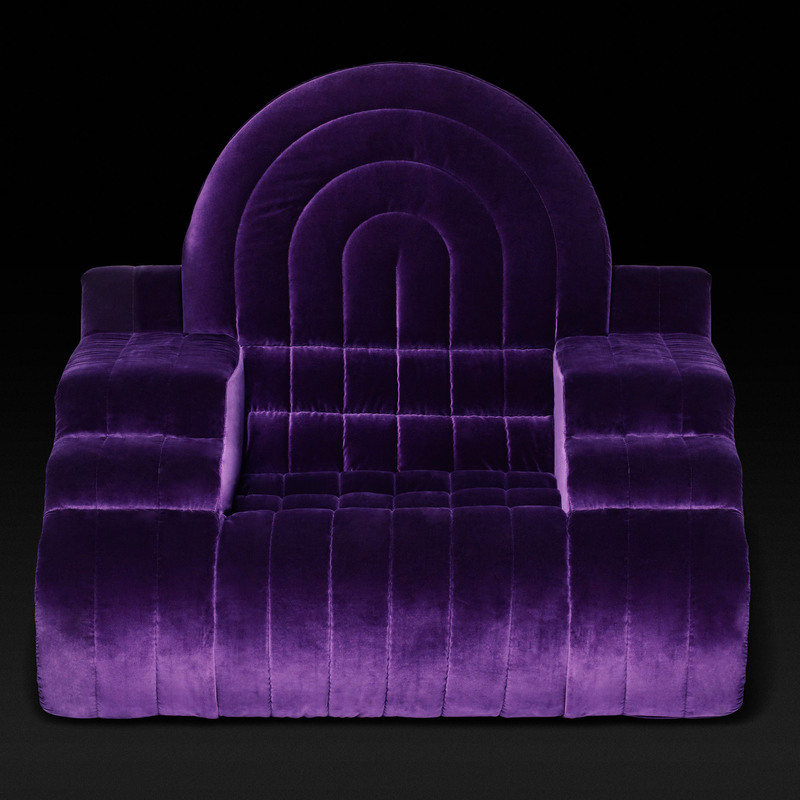 "Back in the days, Gufram produced an entire collection of extravagant seating for what we call today 'the spaces of freedom'," said the brand in a statement, "For this new adventure it has invited three groups of creative minds to create its own surreal disco, in the heart of Milan." Having come across a collection of seating from the late 1970s in Gufram's archive called Linea Discoteca, Atelier Biagetti was inspired to give the original designs a contemporary update. 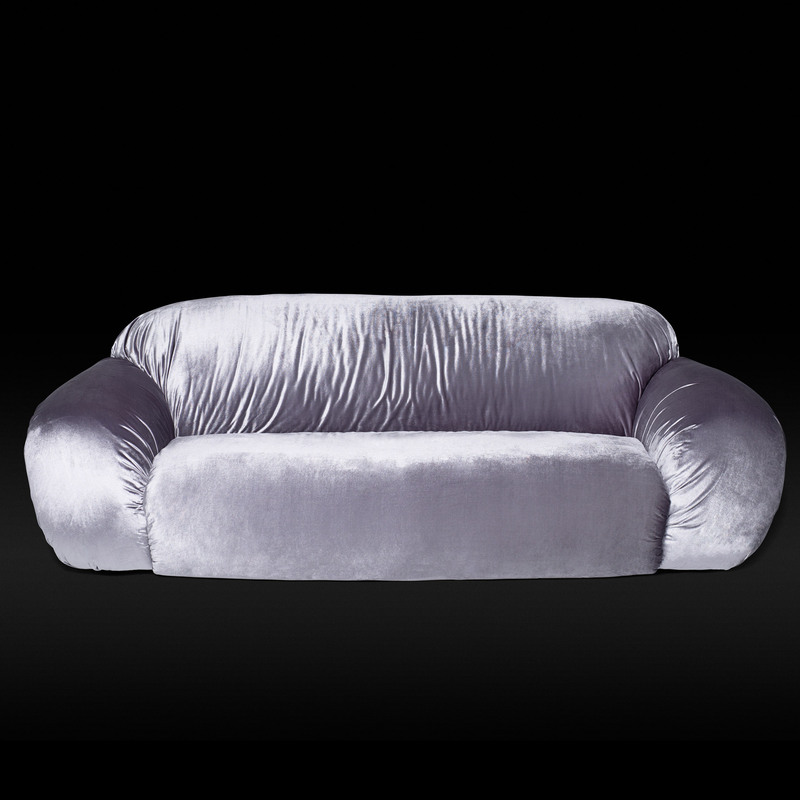 Called Betsy, Tony, Stanley, Jimmy and Charly, the five sofas each have their own distinct personality. "They remind us of some real and living characters with whom you can interact," said Atelier Biagetti founders Alberto Biagetti and Laura Baldassari. "We decided to let them totally influence us, giving them a second life. Each piece is conceived as a person with a precise attitude, a sense of humour, a beauty, also some vices and dreams that get wild during the night," they continued. Meanwhile Gaëlle Gabillet and Stéphane Villard of GGSV – who recently created an interactive installation for children at the Centre Pompidou – have created a line of carpets inspired by the geometry of dance floors. 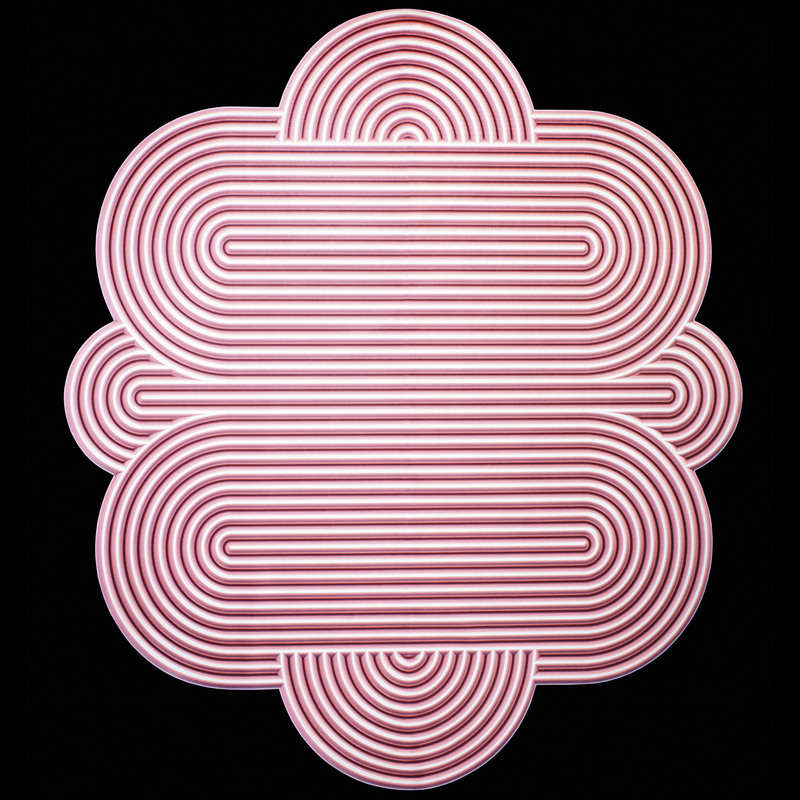 The carpets come in orange, pink, purple and black and in a variety of round-edged shapes and patterns that recall the 1970s era. 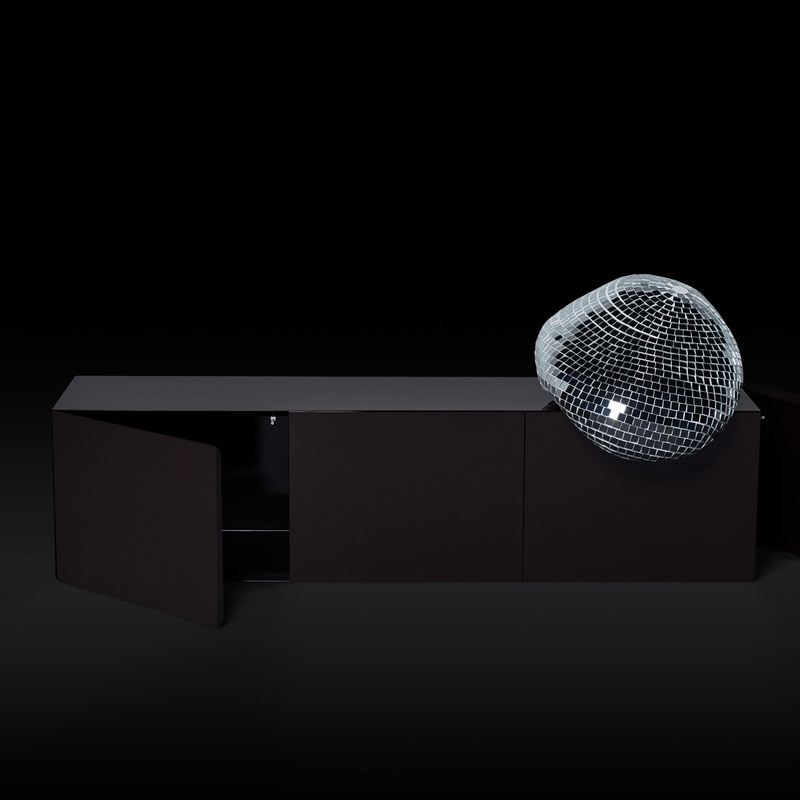 Called After Party, a series of coffee tables and cabinets by Rotganzen were designed as a "melancholic reminder" of the temporary nature of glamorous parties. 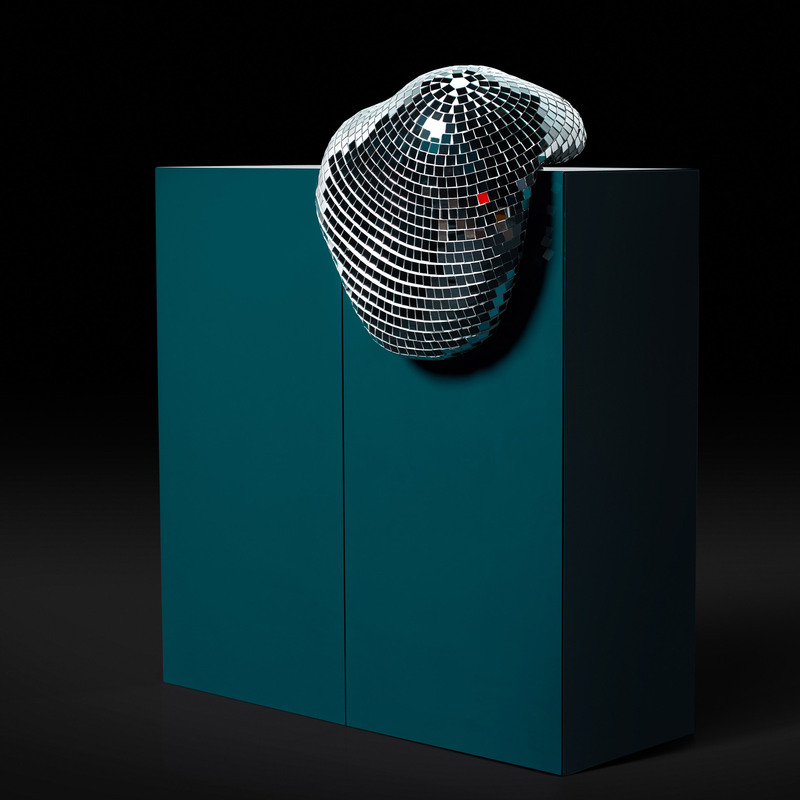 The designers, Robin and Joeri, who were born and raised in the suburbs of Rotterdam, have created three cabinets and two coffee-tables featuring misshapen disco balls slumped over their sides. "It's a visual metaphor of fading glory as we can see in the frozen blobs of amorphous shapes, covered by a carefully arranged glittering skin, composed of fragmented mirror," said the designers in a statement. "What once was a perfect shape takes on new character and meaning. However, rather than a doomed take on reality, the intention is to offer a playful image of past glory." 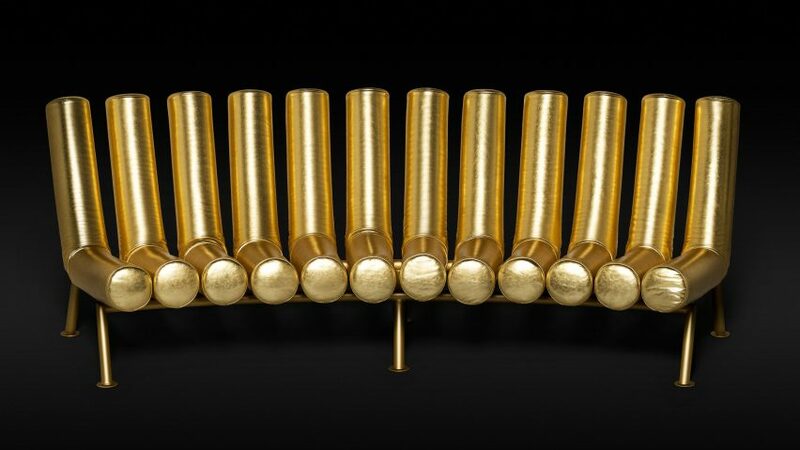 Gufram's disco-inspired collection will be on show at Mediateca Santa Teresa, a deconsecrated church in Milan's Brera district, from 16 to 21 April 2018. At last year's Milan Design Week the church played host to Wallpaper magazine's Holy Handmade exhibition, where Snøhetta created an illusionary stairway to heaven.